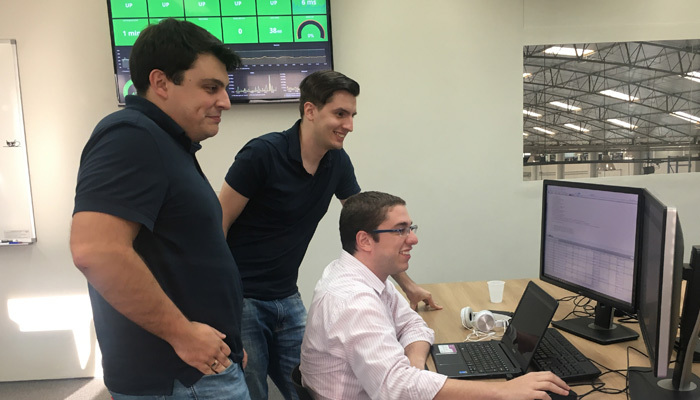 Engineering é a área que cuida dos softwares da AMARO, usando a inovação em tecnologia para garantir a melhor experiência para o usuário. Confira as vagas! The Engineering department guarantees the success of the omni-channel experience that our client has. With native platforms, specialized in our business model, the department is responsible for making AMARO a company of constant innovation. The department is divided into five teams - back-end, front-end, mobile, ERP and support. In other words, responsibilities of those areas range from installation and IT infrastructure support, software development, general architecture of AMARO’s platform, to front-end and back-end development. It is a key area in the company and, for that, we invest on the best and latest frameworks and tools available for development such as: React, Redux, RxJS (front-end); PHP 7, Phalcon, MySQL, MongoDB, micro-services (back-end) and Java and Swift (for mobile). If you want to be part of our team and build something challenging, check our opportunities.